This morning, I read Amy Klein’s Washington Post story “Putting my daughter (and myself) on a baby-led pizza-weaning diet” about her concerns about passing her family’s eating habits and values onto her small child. What stood out to me was the way she portrayed baby-led weaning. 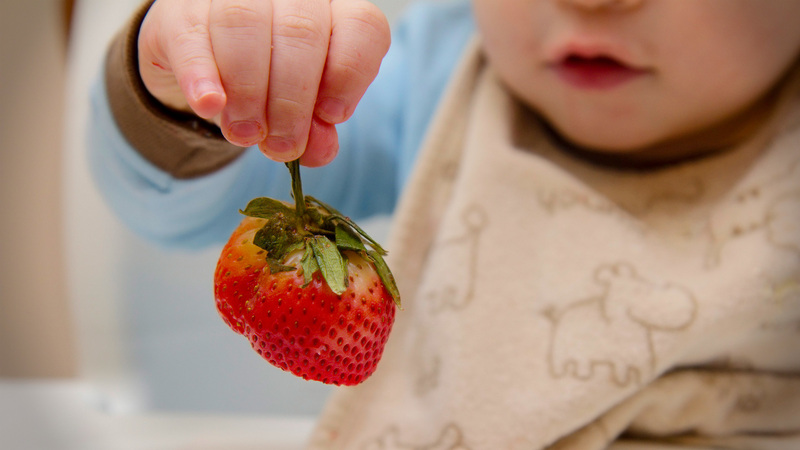 Baby-led weaning is the practice of introducing whole foods to the baby to foster his independence, rather than feeding typical baby food like vegetable purées or rice cereal. Granted, I may be sensitive to this because I attempted BLW on my first child. I thought it sounded great — I didn’t want to make baby food, and if it taught him how to eat more like a human being, great. However, he simply didn’t want to do it. I steamed the hell out of some baby carrots (so they’d be mushy) and put them on his plate for him to pick up and enjoy like a regular little person, and not like some dumb baby with some dumb mommy who didn’t know better than to BLW. He looked at the carrot. I don’t think he even touched it. In the end, I mashed up the carrots and fed them to him and he was happy. I’m not sure where I went wrong. It probably didn’t help that I chose to formula-feed my baby instead of breastfeed (which is part of the BLW common core.) But I suspect that where I went wrong was in creating a human with his own tastes and preferences. Super-inconvenient. While Klein is not exactly a BLW evangelist in her piece, she does hit upon some of the bullet points that make me, as a non-BLW parent, defensive. Sometimes BLW parents, like parents who espouse any type of baby-related “movement,” offer up declarations that seem to put down parents and babies that don’t BLW. Translation: Spoon-feeding parents are slaves to baby food and their hopeless children who have to be fed like babies. BLW babies are more sophisticated than babies who don’t eat whole foods — like, not only do they not eat purées, they go to the bathroom and read The New Yorker in there while they’re at it. Translation: BLW babies = slim and healthy and attractive. Spoon-fed babies = fat and hopeless. Translation: BLW are not slaves to sugar like spoon-fed babies. BLW babies go trick-or-treating for fine cheese and organic vegetables compared to the dim-witted spoon-fed ones. For me, in the end, BLW was some first-child nonsense, the kind of thing I had time to study up on and agonize over back in the days when I only had one kid and it seemed like every single choice I made would impact him for the rest of his life. By the time my second kid came around, I didn’t think too much about how I was going to feed him at all. To my delight he did eat “human” food more than his brother did, but from the moment he was born he was a hungrier lad than his brother was. I enjoyed how much easier this made him to take to restaurants — give him a crust of bread and he could entertain himself for an entire meal, but I never thought this made him a smarter baby or me a better parent. I also have friends whose kids are all bad eaters. You get the kid you get and your practices or beliefs do not form them. There is no shortage of calls to end the mommy wars, but it’s an ongoing battle so it bears repeating. We all attempt to make choices that work in tandem with our values, whether it’s at-home birth, baby wearing, baby-led weaning or home schooling. What we often forget is that our children also have their own ideas, tastes and preferences. Whether they go along with our original plans is not an indicator that our children are smarter or more sophisticated than those of parents who make different choices than we do. It just means we got lucky.